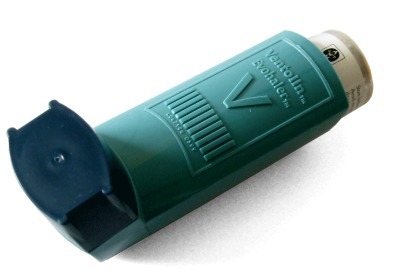 Global Warming and Asthma: Consensus? The latest alarmist talking point is that “global warming will cause asthma in children.” To wit, the Massachusetts League of Women Voters is running sleazy advertisements that essentially equate baby-abuse with Senator Scott Brown’s vote for excellent legislation that would strip the Environmental Protection Agency of the authority to regulate greenhouse gases. The purported link between baby-abuse and global warming is increased asthma. It’s not just lobbyists. At a recent House Energy and Commerce Committee hearing on global warming policy, Democrats on the panel—in particular, Reps. Henry Waxman and Jay Inslee—made much hay about the supposed increase in asthma suffering in a warmer world. Sen. Claire McCaskill (D-MO), after a recent vote to protect coal polluters at the expense of children’s health, is now attacking the League of Women Voters. The 91-year-old good-government organization is running television spots that hold McCaskill and Sen. Scott Brown (R-MA) accountable for voting to block enforcement of Clean Air Act rules that limit greenhouse pollution, threatening the hundreds of thousands of children with asthma in their states. Clearly, this claim that warmer temperatures will increase asthma is reverberating throughout the vast green echo chamber. But is it true? The claim is predicated on the hypothesis that global warming will cause longer growing seasons, which will result in the release of more pollen, an asthma trigger. OK…that makes some intuitive sense, and while there is peer review literature suggesting a link between asthma and pollen, there is also literature contesting such a link (“No association was found between visits for asthma attacks and airborne pollen levels,” Association of severe asthma attacks with weather, pollen, and air pollutants,” 0 V J Rossi, V L Kinnula, J Tienari, E Huhti, Thorax 1993; 48:244-248). As I understand it, and as is intimated by the conflicting studies noted above, asthma is poorly understood. There does, however, appear to be agreement in the scientific community that asthma has many potential causes, including pollen, dust mites, cigarette smoke, and…cold weather. According to the peer reviewed literature, “A decrease in air temperature is an aggravating factor for asthmatic symptoms, regardless of the geo-climatic areas under study” (c.f., “Effects of Climate Change on Environmental Factors in Respiratory Allergic Diseases,” G. D’Amato and L. Cecchi, Clinical and Experimental Allergy, 38, 1264-1274). Cold weather triggers asthma directly, and also indirectly, by making people sick with cold and flu, which is another major asthma trigger (“Upper respiratory infections play a key role in exacerbation of asthma, contributing to the typical increase of hospitalizations and medical calls in cold months and during spring,” ibid). Using a public health/medicine database search (EBESCO’s MEDLINE), I found peer reviewed research suggesting a link between global warming and asthma exacerbation due to increased pollen exposure caused by longer growing seasons, but I couldn’t find any study that also addressed the fact that global warming logically would mitigate asthma suffering caused by the cold. After all, if asthma hospitalizations peak during cold months, then doesn’t it stand to reason that global warming, which disproportionately affects winters, would decrease the number of these asthma attacks? If I’m wrong, and a study has considered the potential benefits of global warming for asthmatics, please send it my way: wyeatman@cei.org. Until I see otherwise, it seems to me that the green echo chamber’s alarmist asthma claims are based on only half the picture. In any case, Americans shouldn’t be concerned. According to a recent peer reviewed article in the pre-eminent scholarly journal Science, global warming isn’t happening in the U.S. I had asthma since I was born. When I was a kid I often got shortness of breath. And then I started to swim–(that’s an advice from a doctor n health professionals) And after a couple of years my asthma has gone. And when I was young (It’s about when I was in highschool) I learn the art of breathing. That made my body stronger. But I think asthma can’t really cure until 100%. It depens on how the way we live, our lifestyle. And now when I write here I’m 30 years old (not swimming anymore or practicing the art of breathing), smoking and sometime I don’t have much sleep–that’s making my old asthma relapses(sometime).